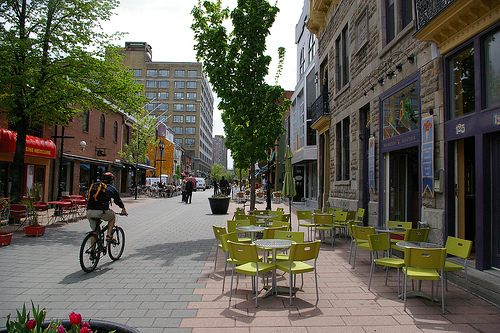 A liveable street promotes social cohesion and community connection where people take priority over cars. But how does it work? The concept of a living street arose over 50 years ago in Europe in response to increase in road-related accidents. The idea was to give pedestrians priority and to create an environment where safety and shared space is promoted through intuitive design. The results of implementing such streets were significant. Injury crashes and vehicle speeds were reduced, traffic volumes were lessened, and residents enjoyed the creation of attractive streets with more space for social interaction and activities such as walking, cycling and playing. The idea is simple. By using the concept of intuitive design, road users entering a living street know exactly what to do. The street is designed to be narrow, with a distinctive entrance and without a clear division between pedestrians and other road users. With such design, motorists intuitively realise that they have entered a different and shared space. Although there is no one-way of designing a living street, there are many approaches based on international best practice. 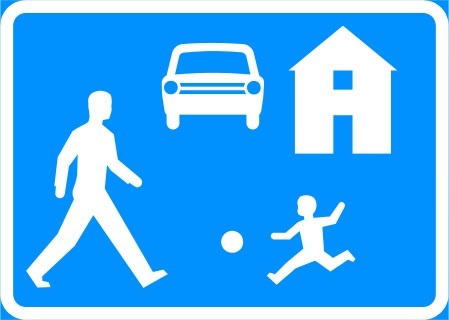 Guidelines for implementing living streets are: a clear entrance that defines the area as being a shared space; the incorporation of trees, shrubs, landscape elements and textured road surfaces; the use of traffic calming measures such as narrow lanes and street furniture; the lack of separation between cyclist, motorists and pedestrians. These elements integrate to create a safe, calm environment that encourages social activity. After three decades of successful implementing of living streets in Europe, the Department of Transport in England thoroughly monitored several pilot projects for living streets in the early 2000’s. Surveys were conducted, and traffic data was collected. All showed that the main objectives – enhanced street environment, improved safety for road users, reduced vehicle speeds and through traffic – were all met. At Ngārara we’ve incorporated intuitive design into our streetscape by narrowing our streets and adding varying texture to street surfaces, adding elements such as rain gardens, shrubbery and decorative stones, park benches, curb-less residential streets and a defined entrance into the Gateway Village. By creating more efficient use of space, slower traffic, and increased socialization, the street is transformed into a ‘living’ environment. 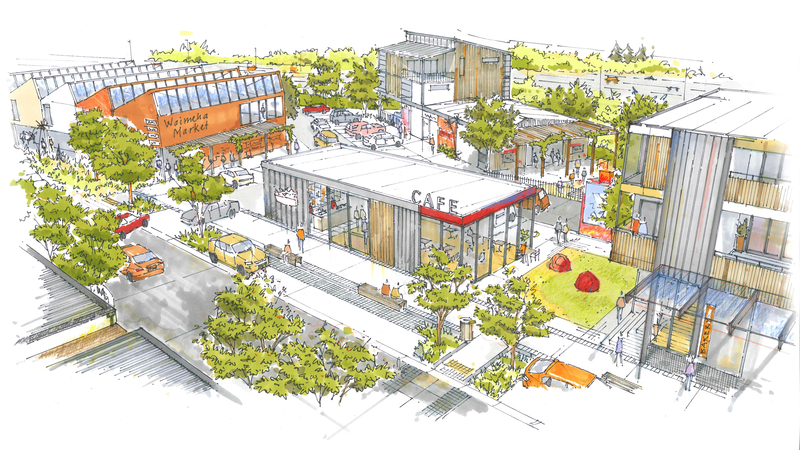 Other notable benefits include increased and safer mobility for seniors and an increase in natural surveillance by creating open social spaces. At Ngārara, we are passionate about creating living streets that not only reduce driving speeds and increase safety, but improve the quality of life of residents. It works. And it’s beautiful. Ngārara’s streets are a place to belong.